Dental caries is a pathological process that runs in the solid tissues of the tooth and occurs for various reasons. This is the first stage of the disease, at which a shallow lesion of the enamel is detected. The initial caries or «stage spot» is the first stage of caries, when a matte, light or yellow spot appears. The tooth enamel at this stage can be restored by using special pastes and carrying out professional remineralizing therapy and fluoridation. Appear periodic pains that arise after consuming sour or sweet foods, as well as during the reception of cold or hot food. During the treatment of this type of caries, the affected area of ​​the enamel is removed and a material completely imitating the tooth tissue is applied. 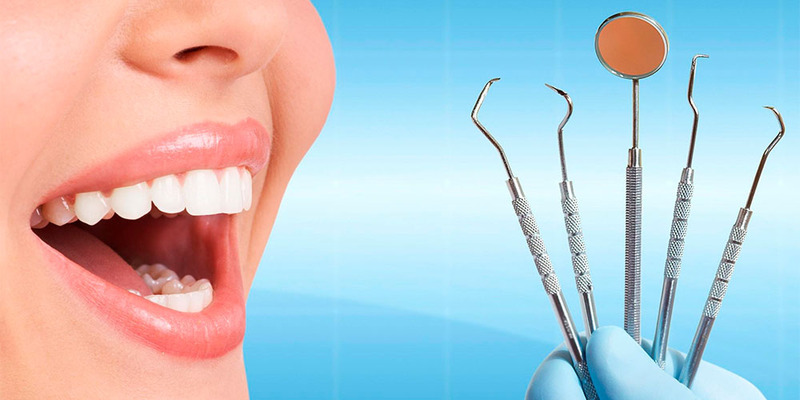 After the effective treatment, the enamel of the tooth is completely restored, and the carious stain disappears. With this form of caries through the enamel of the tooth, a dark stain is visible and later a dark cavity in the tooth itself. At this stage of the disease, together with the enamel, the dentin is also damaged — a solid tooth tissue in which the caries rapidly progresses and forms a large carious cavity. Symptoms of involvement of the middle caries are the same as in the case of superficial caries. But when entering the chronic stage, pain may be absent. 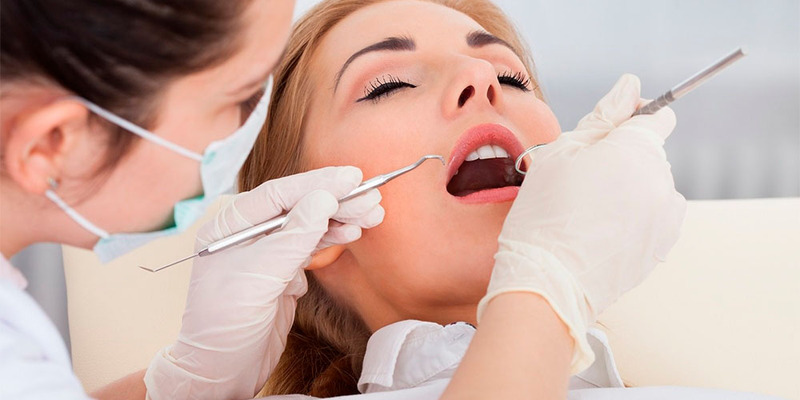 Under local anesthesia, the doctor will remove the damaged tissue, treat the oral cavity with antiseptic agents, install a gasket material and put a permanent modern seal. — Defects and chipped teeth. Symptoms of this kind of caries are painful sensations when probing the carious surface, acute pain when food gets. In the treatment the carious cavity is cleaned from the softened dentin and sealed, previously anesthetized.